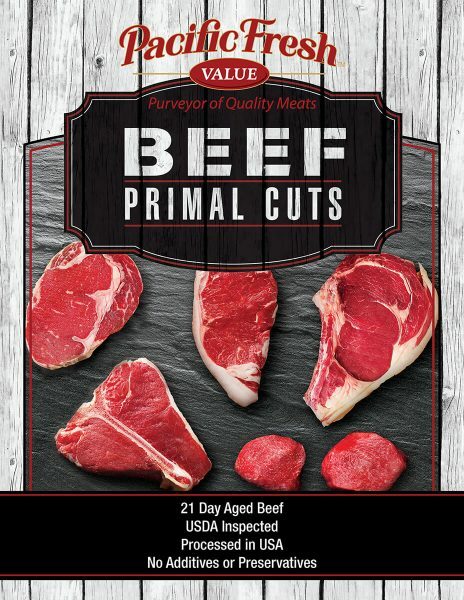 We are proud to offer a complete line of fresh and frozen beef products sourced directly from major beef packers. 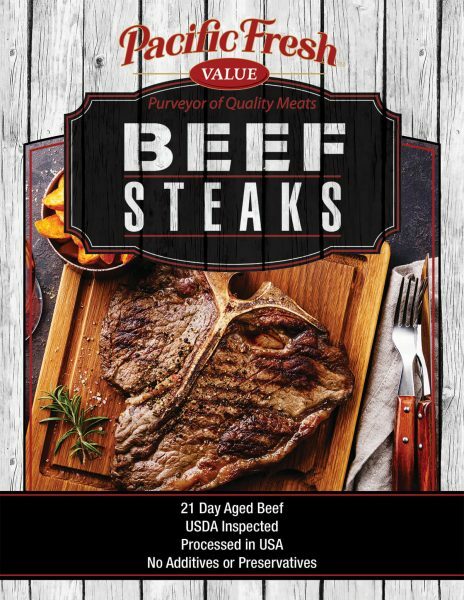 These include our company branded beef line, Pacific Fresh®Value, Advantage, Premium, as well as our partners AB Foods, Tyson, JBS, and R&R Quality Meats just to name a few. Our in-house aging program uses a minimum of 21 days to create an excellent product. Our in-house state of the art portion cutting facilities can tailor to all your needs from primal cuts, a full line of steak cuts, to burgers to back ribs, and fresh ground beef. Our competitively tiered offerings can fit any of your beef needs. Our fresh, local, and sustainable products are all sourced from USDA inspected, certified facilities.